It is a rare occasion that I get to attend a trade tasting, as opposed to running it. 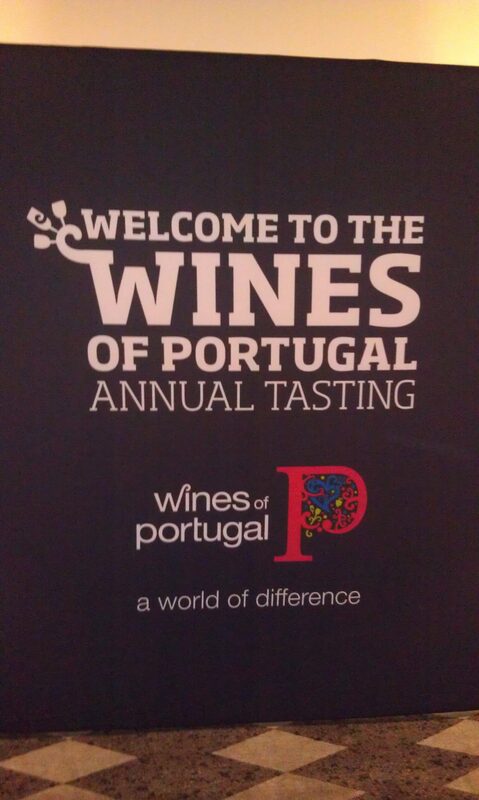 But while I am here in DC in between two trade tastings I am organizing, I was able to attend the Wines of Portugal trade tasting. Portuguese wines are probably that most people are not familiar with. Portugal lays along the Atlantic ocean and shares a border with Spain from top to bottom. There are more than 20 DOC wine regions and 250 grape varieties native to Portugal, offering a range of diverse wine styles. Many of Portugal’s grapes are indigenous although a few international varietals are being grown there as well (ie. Cabernet Sauvignon, Syrah, Merlot and Chardonnay). And some varietals are the same as varietals in Spain but with different names. For example, Spain’s famous red wine grape Tempranillo is called Tinta Roriz in Portugal’s Alentejo region and in the northern Douro it is called Aragonez. Here are a few key Portuguese varietals. Vinho Verde – Meaning “green wine,” these wines come from the north of Portugal. The wines are mainly yellow in color but some have a suggestion of slight green. They are bright, crisp wines. 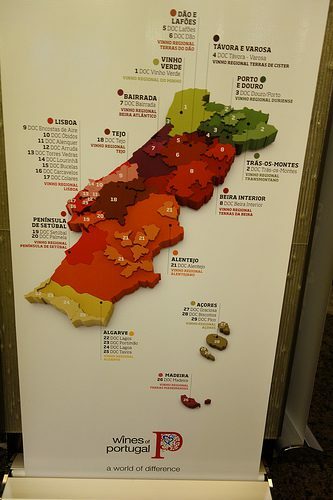 This entry was posted in Wine and tagged Alentejo, Alvarinho, Antao Vaz, Aragonez, Baga, Bairrada, Douro Valley, Fernao Pires, green wine, Madeira, Perrum, Portugal, Portuguese wines, Ribatejo, Tempranillo, Tinta Roriz, Touriga Francesa, Touriga Nacional, Verhdelho, Vinho Verde, Wines of Portugal by Allison Levine.